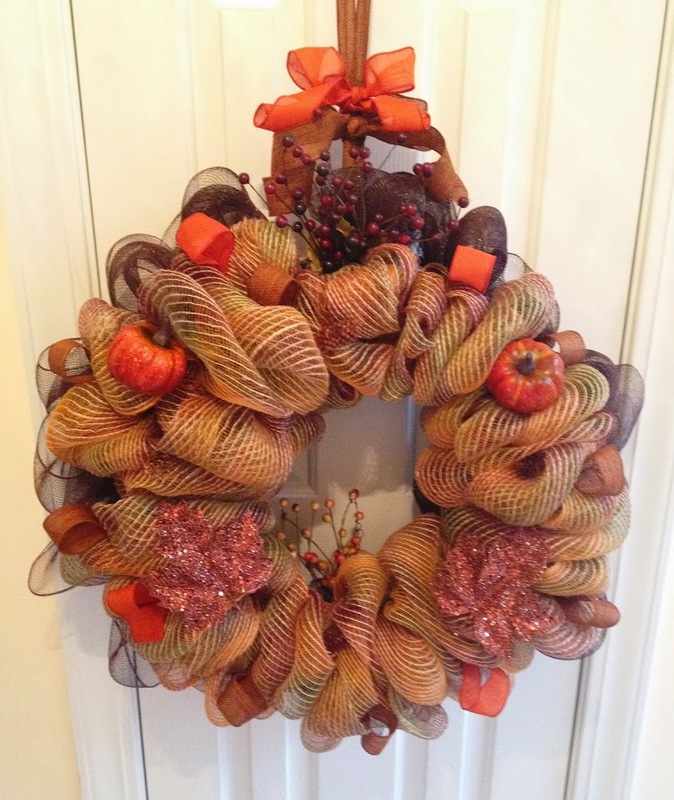 What is a mother to do when her son asks her to make an autumn wreath for his wife? She goes to the craft store and picks up supplies, of course! 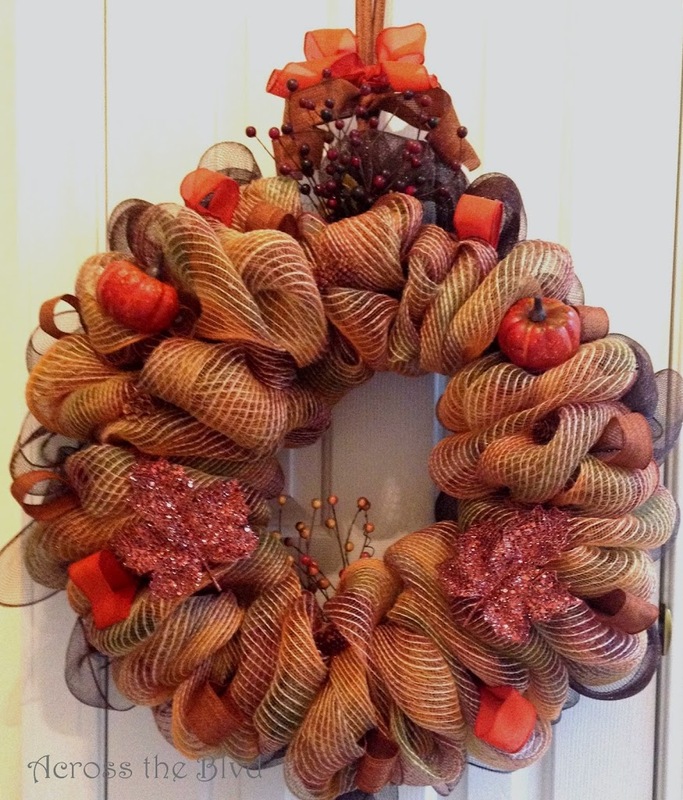 I didn’t have plans to make another wreath this fall, but I was happy to do so when asked. I questioned him about what style of wreath she wanted and his answer was “oranges, yellows, and browns.” Okay, way to be specific. When I asked if she wanted deco mesh, I was told, “I don’t know what that is.” After a little more back and forth texting, he agreed that was what she wanted. The lesson here is, I should have been speaking directly with my daughter in law! 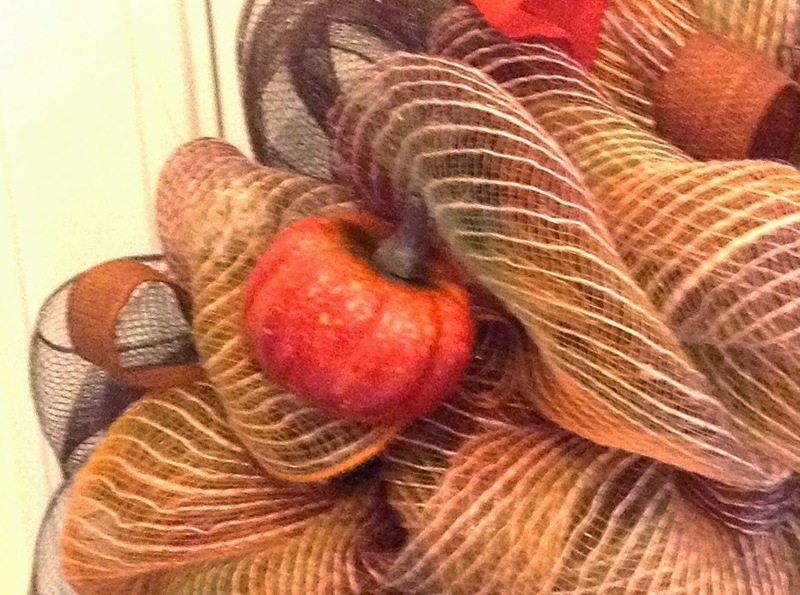 So, I created this autumn deco mesh wreath for their home. They have a very large home, so I knew I would need to make an over-sized wreath. 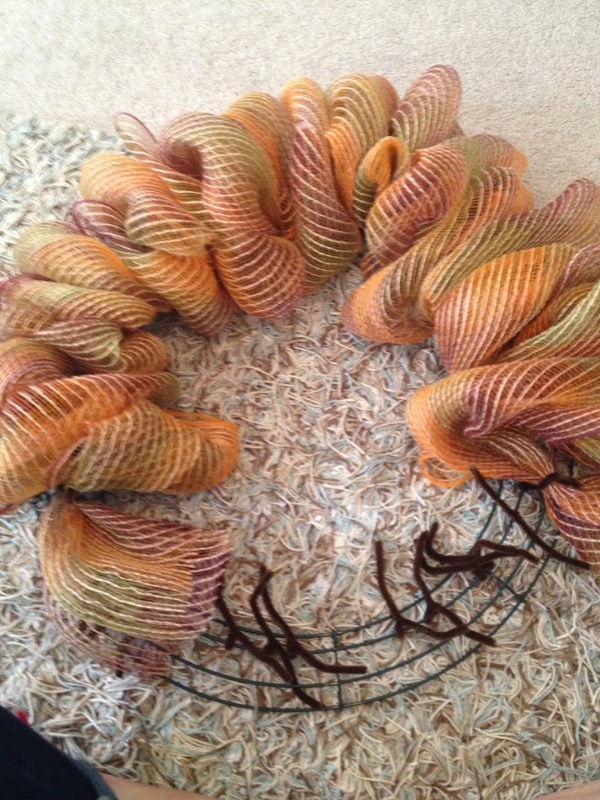 For this wreath, I used 1 roll, plus a few feet of a second roll of the multicolored mesh and 3/4 of a roll of brown mesh. Luckily, JoAnn’s had them on sale for 50% off. I used a 24″ metal wreath form for this one. I started by looping an end of the mesh through the wire to hold it in place. 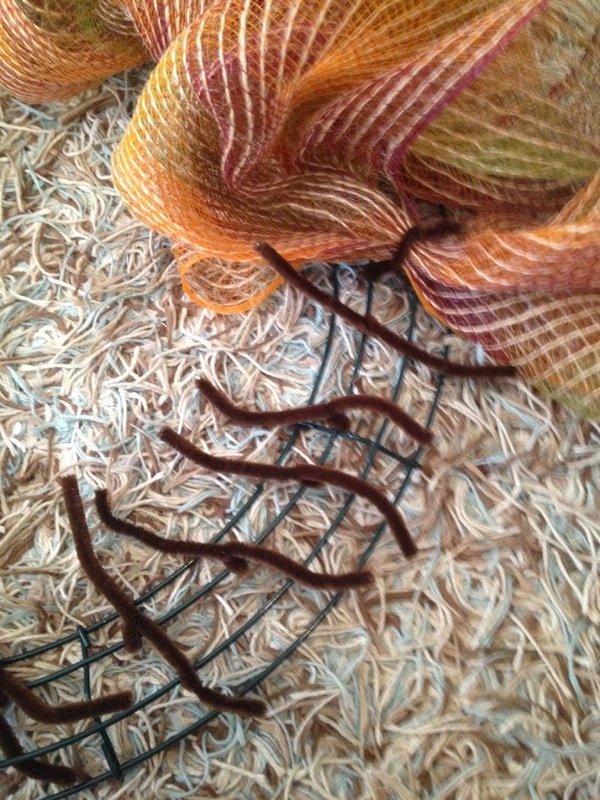 Before continuing to work with the mesh, I placed three brown chenille stems (pipe cleaners) in each segment of the form and twisted them around the wire. I placed them on the circle that is second from the inner ring. As I was working the mesh into them, I realized I should have used four stems per segment to give more fullness, so I added one more to each segment than is shown here. Open the stems and spread them apart as shown above. 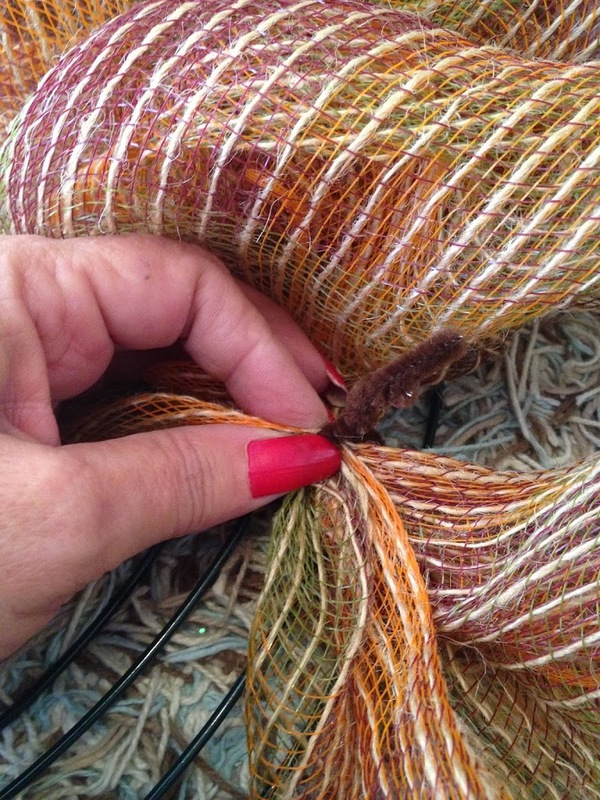 Gather the mesh together and scrunch it to fit on top of a stem. 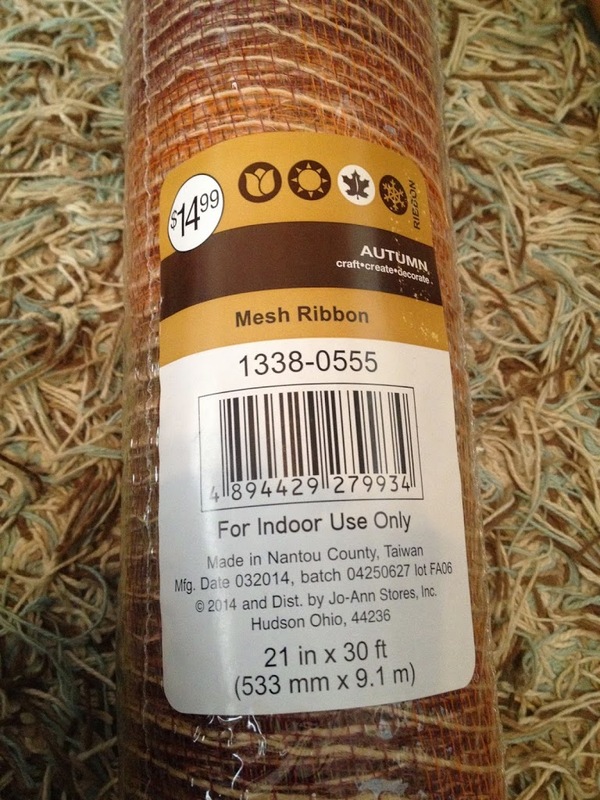 Twist the stem around the mesh until it’s held tightly in place. Continue gathering and scrunching the mesh together all around the wreath, making sure to fluff as you go so that you’ll have a good idea of how it’s taking shape. 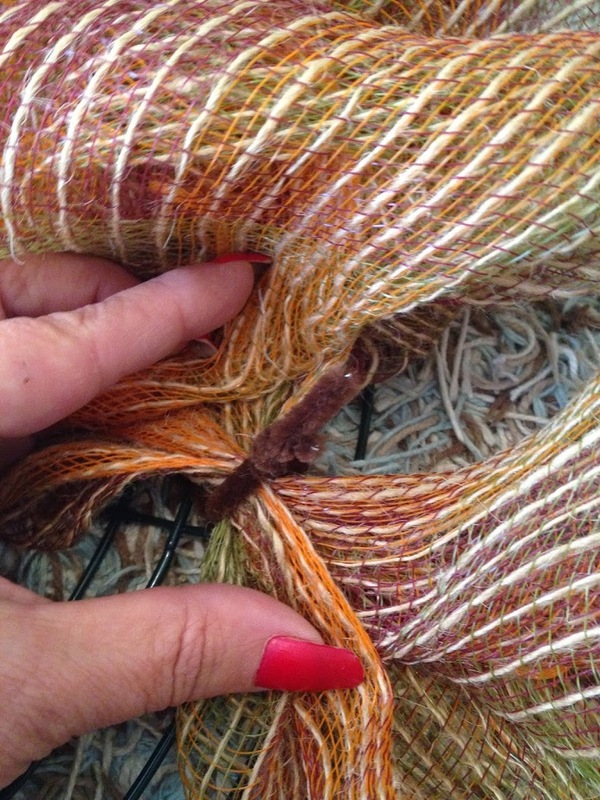 Once you’ve completely filled the form with the first layer, you’ll want to repeat the process for the second one. I wanted the outer layer to be less tightly bunched together, so I used two stems for each segment. I placed the stems on the second wire from the outside of the form. Follow the same process all around the form. Fluff it all out and make any needed adjustments. That’s the beauty of deco mesh~it will do just what you want it to do! I picked up several items to use as embellishments for the wreath. I like to place them on the wreath without adhering them to get a better idea of what will work in what spot on the wreath. Once I’m happy with the layout, I begin to secure them in place. I used hot glue for this one. I loved this shimmery leaf. I used two of these. I used two small pumpkins and some ribbon loops for more dimension. I used brown ribbon and tied it over the form to make a loop for hanging. Berry picks were added at the center top and bottom of the wreath. 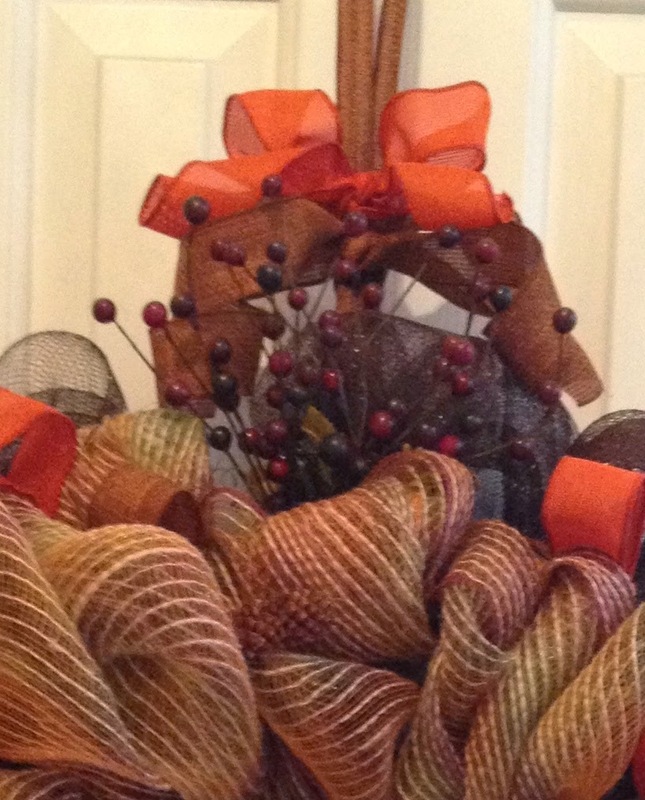 Using orange ribbon and brown ribbon, I tied bows around the looped ribbon. 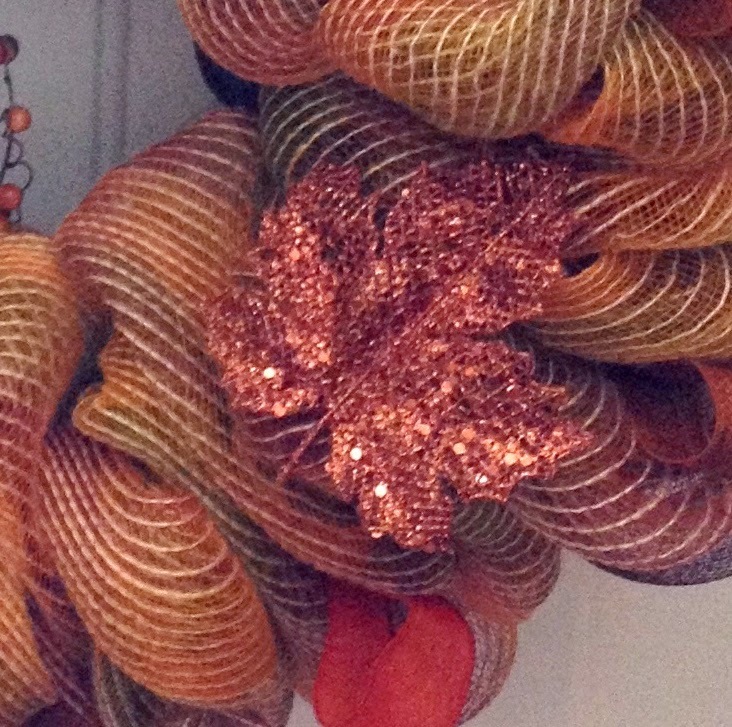 I’m not the fastest person when a deco mesh wreath. It took about 2 and a half hours from start to finish, but I think it was worth the added time to make sure that it had the fullness and the overall look that I wanted. I hope they will enjoy this touch of autumn. Very pretty! Thanks for linking up to Show Me Saturday. Hope to see you there again tomorrow! Thank you. It’s a great link party.